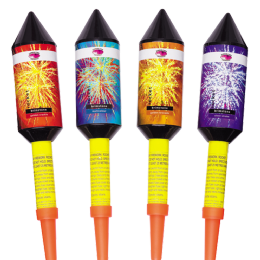 Choice of 4 large rockets. Each with a unique effect. 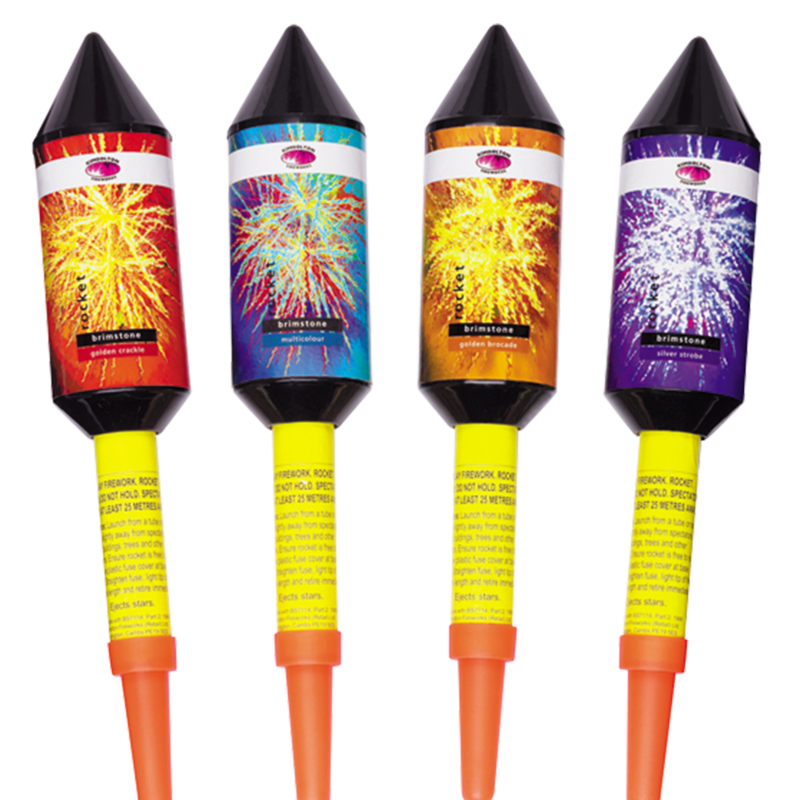 1.3g powder and 65mm bore size for big display quality bursts. Climbs to 50 metres into the sky.